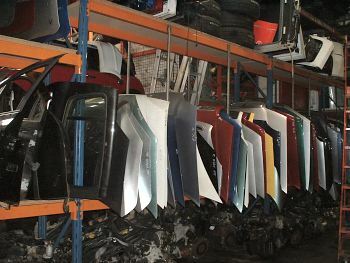 We have thousands of spares of all types, categorised by vehicle model. Whether you need a replacement door mirror, headlamp and front wing, or new suspension, mechanical or electrical parts, we probably have it. We can also supply and fit part worn (but legal) tyres from only £12. In the past we have recycled vehicles of all makes and ages, but please look at our list below of recently scrapped cars and vans to see if your model is there. In any case do phone us on 01752 256050 and we can tell you immediately if we have your parts in stock.